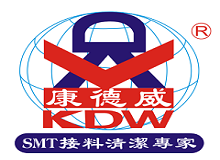 Product categories of SMT Tape Polyimide, we are specialized manufacturers from China, Polyimide Tape, SMT Tape Polyimide suppliers/factory, wholesale high-quality products of Kapton Polyimide Tape R & D and manufacturing, we have the perfect after-sales service and technical support. Look forward to your cooperation! Description: The tape is consist of polyimide film and silicone adhesive. Application: This tape is typically used in protecting PCB(Printed Circuit Board) during wave solder and solder dip process and also can be used in insulation protection for coil, transformer, lithium battery and capacitor.